I consider myself a fan of 70s movies, at least for someone who was born a decade later and so never had the opportunity to see them as they were meant to be seen, to love them as they came out instead of twenty years later when I had grown up enough to appreciate them. 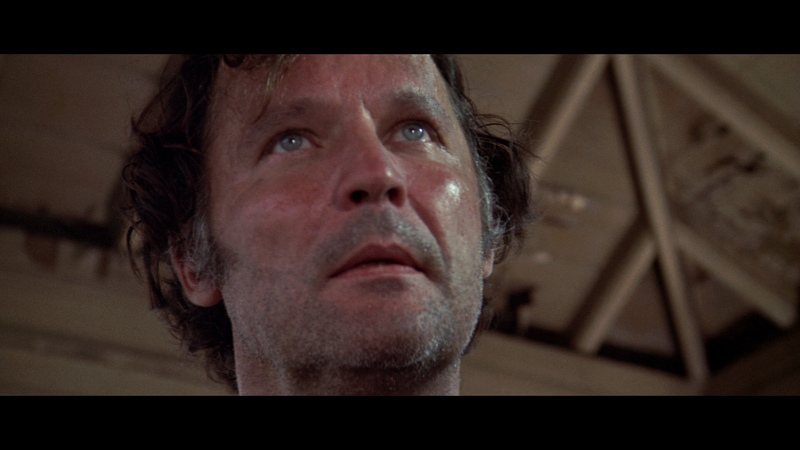 Not to be too clustering, but 70s films have a certain vibe, a dated atmosphere, a specific style that of course doesn’t apply to each one, but that is apparent enough in enough of them that you can pick one out of an era lineup at a hundred paces. But although I really enjoy the time frame in general, some duds do happen, and Brannigan is one of them. 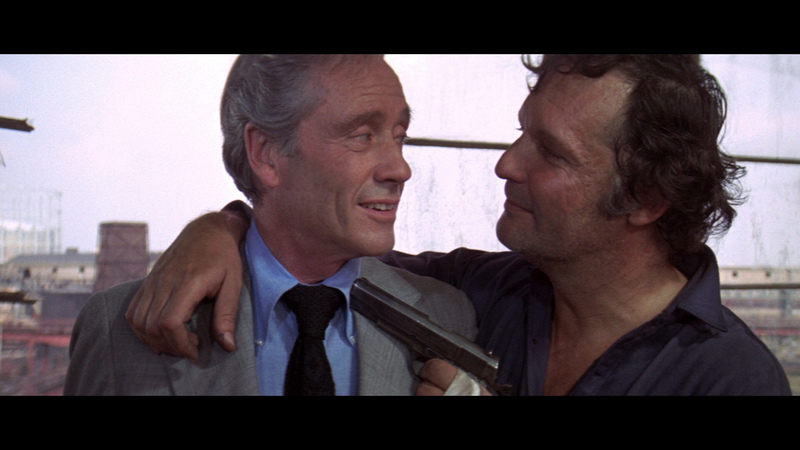 It’s the worst 70s flick I’ve seen since Quintet, a piece of junk that ought to have been discarded long ago. Jim Brannigan of the Chicago Police Department is about as rough a cop as you are likely to meet, and you’d be unlikely to survive the encounter. He’s an old school tough nut, one that never cracks, and who always catches his man. The criminal he’s after currently is a mobster named Larkin, a boss of the underbelly who is ruining the city one evil deed at a time. He and Brannigan go way back, have a personal vendetta against one another, and would like to kill the other if the chance were to arise. But they’ll have to wait a little longer, because Larkin just skipped town and Brannigan will have to track him down in order to bring him to justice. The destination; jolly old London. Brannigan comes with extradition papers to bring Larkin, who has been arrested but released upon bail in London, back to the States to stand trial. Brannigan will team up with Scotland Yard while he’s there, aided by the veteran Commander Swann and the rookie Jenny. All three want Larkin locked behind bars, but first they’ve got to find him. While he was out on bail, he seems to have been kidnapped, and when a ransom note appears, the scenario seems straightforward. But Brannigan sniffs a rat; he thinks Larkin had himself nabbed and is trying to wheedle out some extra cash. But the truth may be more complicated, as chaos ensues and no one knows who they can trust. 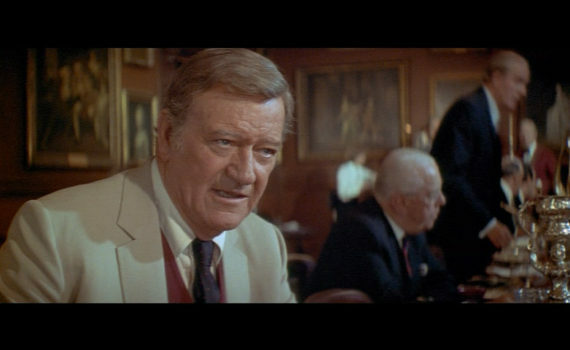 Lieutenant Brannigan was one of John Wayne’s final roles, and you could tell he was an old man playing in a young man’s game. That isn’t to say that you can’t age and still keep your talent; look at Richard Attenbourough, he was amazing no matter what year it was or film he was in. But ol’ Marion Morrison has never been what you would call the greatest actor in Hollywood, his talents were appreciated in different ways, and they diminished as he approached the end of his career. Maybe that doesn’t apply to Westerns, since The Cowboys and The Shootist are two of my favorite Wayne films and they both came when he was in his late 60s, but it certainly applies here, because he couldn’t elevate the terribly written lead role of this film with all the bravado and Colt pistols in the world. Brannigan is stupefying from beginning to end, and I have a hard time imagining that it viewed better in the theatres in 1975. Maybe I underestimate how much changes with time, but compare this film with something like The Sting and the former fails on basically every theatrical level. Wayne’s acting is so shabby it becomes a joke right away, but the movie itself never helps him along, and even Attenborough’s immense skill can’t save this picture from certain doom. The story makes very little sense, and when it does pan out you really, really don’t care at all. Brannigan is sexist (which I’m sure fit the times), blustery (which is an American stereotype that’s just annoying to watch, even if it’s true), and unbelievable (which was the nail in the coffin for me). The entire film feels made up on the spot, the action scenes are extremely lazy, and the dialogue is pathetically written. This simply isn’t the classic 70s film you want as a part of your collection. Video – With an aspect ratio of 2.35:1, this film feels decidedly 70s, which means the quality won’t be amazing but you’ll see it coming a mile away. For the time, and for the DVD transfer, the picture isn’t terrible, registering in as mediocre and dated, but not horrible. Audio – The DVD is in English with optional English subtitles; that’s all you get in the audio department. The music is ridiculously time capsule, with a band playing the silly soundtrack in accordance with what you’ve heard many times from this era. 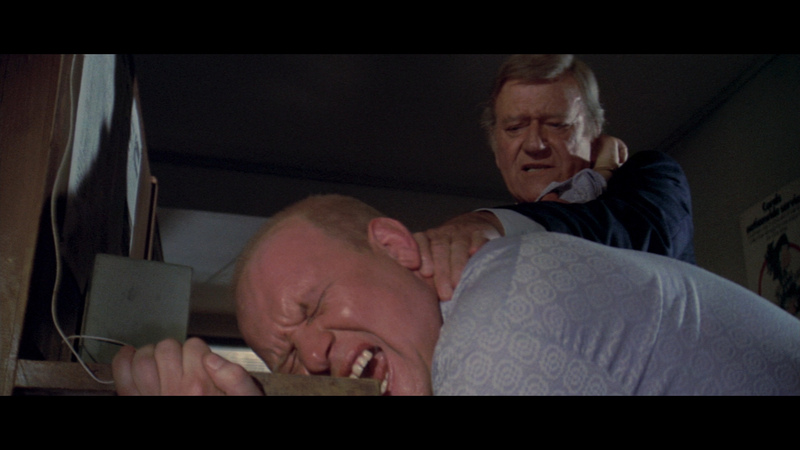 Extras – The only special features on the disc are trailers: Brannigan, Thunderbolt & Lightfoot, The Taking of Pelham One Two Three, Truck Turner, Cop, Bring Me the Head of Alfredo Garcia. Skip It. This film’s only redeeming quality is its 70s vibe, that’s why I keep bringing it up. Other than that, the rest is totally awful. It’s more a skit than an actual film, more a story some guy you know wrote and put on in his basement, except he knows John Wayne personally. 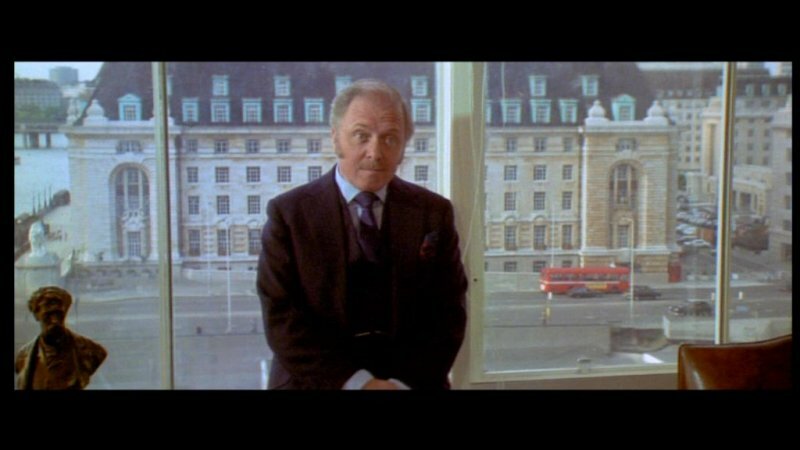 The plot is so silly, the acting is so bad, there are literally no positives to hang onto except the general vibe and perhaps the appearance of Richard Attenborough, who I always enjoy seeing. The video is fine for the time, the audio is the same if you can get over the cheesy music, and there aren’t really any extras to speak of. For Wayne fans, for 70s cop movie fans, this is one to avoid.